One of the iconic images of central California is rolling golden hills dotted with oak trees and cattle. We are home to cowboys and cattle ranches. And this is where Elizabeth Poett’s story begins. Elizabeth is the great-great-great-great-granddaughter of Jose de la Guerra. You may recognize this name if you live in Santa Barbara. Jose de la Guerra came from Spain to live and work with his uncle in Mexico City at age 13. A year later he joined the Spanish Army and began a turbulent and illustrious life in the New World, now known as California. He finally settled in Santa Barbara in 1815 and became the Comandante of the Santa Barbara Presidio. He established Rancho San Julian to provide meat and income for the presidio soldiers, and was granted ownership in 1837 after the War of Mexican Independence. This Rancho has remained in the family ever since. As Americans started invading California during the Gold Rush era in the late 1840’s, the Mexican rancheros prospered from business with the Yankee traders. These gringos stuck around and settled in with our Spanish-Mexican ancestors to create our unique blend of cowboys, the California vaquero or buckaroo. Elizabeth’s heritage is a prime example. In 1867 Thomas Bloodgood Dibblee purchased Rancho San Julian and stocked the rancho with the finest shorthorn beef cattle. 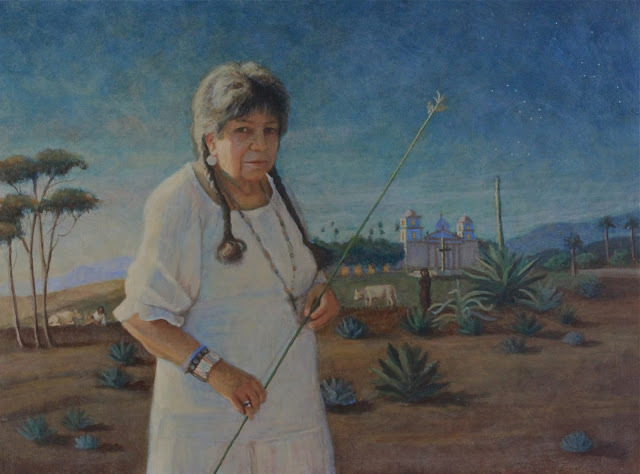 He and his wife Francisca de la Guerra, left the ranch and the California ranchero legacy to their 7 children. Elizabeth’s father, Jim Poett has brought Rancho San Julian into the 21st century as one of the first organic beef producers in California. It is from this platform that Elizabeth carries on her family business and personal mission. In 2007, San Julian Beef was awarded the Champion Breeder for the Market Beef Carcass Class, affirming Rancho San Julian’s quality of beef. Continuing in her father’s footsteps, Elizabeth continues to create organic beef with utmost environmental integrity. offers 100% grass fed beef as well as farm finished beef, where the cattle are finished on a vegetarian diet of regionally grown hay or dry farmed barley (absolutely no corn!). She grows as much of the hay or grain on the ranch as possible. From beginning to end, these cattle begin with the best genetics, are raised humanely, graze on our beautiful hillsides, and are never given any hormones or antibiotics. They even are harvested on their ranch in the first USDA approved Mobil Harvest Unit in California. So Elizabeth’s life has been shaped by this cowboy lifestyle. She was born and raised here on the ranch. Growing up, she studied flamenco and participated as a flower girl and dancer during our Old Spanish Days Fiesta celebrations. Perhaps it was genetically determined, because she studied Spanish History at Kenyon College in Ohio. She then moved to New York and crossed the country to Los Angeles. Now within commutable distance to home, she began spending her weekends at the ranch. 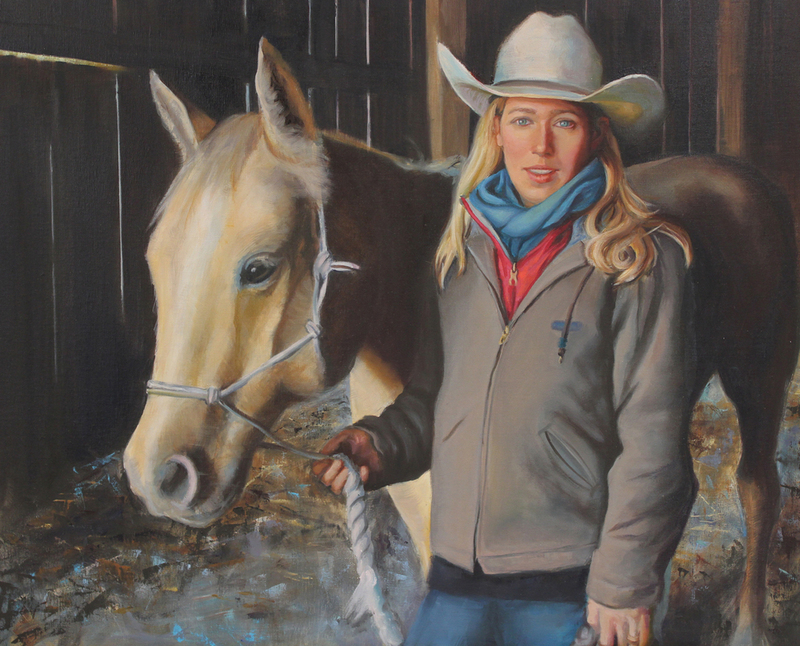 Here she reconnected to the traditions of her family and fellow ranchers. There’s no place like home to find another home grown cowboy and husband, like Austin Campbell. Together, they work on the ranch to raise this award winning beef. And they do it the old fashioned way, gathering up cattle on horseback to brand in the spring. The cows roam on the hillsides and are rotated from pasture to pasture to let each area recover. The cows are harvested and brought to market, literally our local farmers market and discriminating restaurants. Elizabeth is there, every step of the way. What is remarkable and poetic, is this is the way it was done 200 years ago. I actually know the cowgirl who raised the beef I’m serving at the barbque in my own back yard. Fortunately for all of us, this land has been cared for, nourished and protected from development. We benefit by having a beautiful environment in our community that is sustained and sustains us with the best beef in the county. If we were to have a Princess of the Central Coast, I would crown Elizabeth Poett.